Qino is a vision for the future of the urban coffee shop. 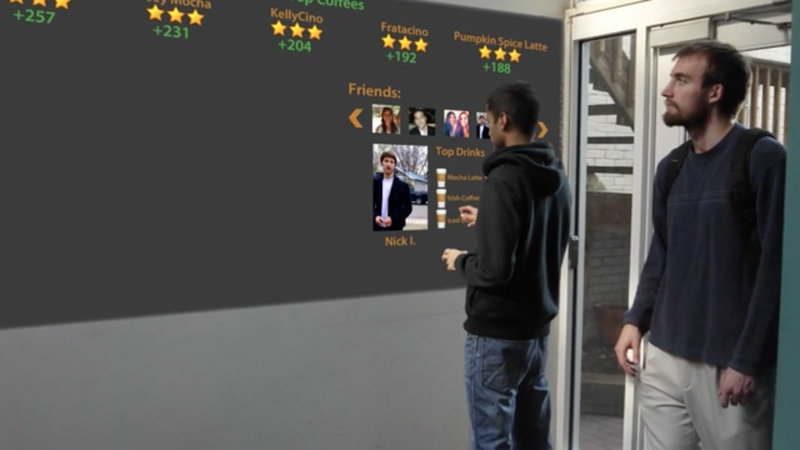 Patrons use interactive "wall stations" to see, customize and order drinks off the menu or those popular among their friends. Drinks are delivered directly to coffee tables through an “invisible” conveyor and disposed off through the same. Qino was created as an Interaction Design Studio class project. The challenge was to design for an emerging space where no social mores existed. Contextual interviews with 10 patrons and 2 baristas pointed out that coffee shops were seen as "the exact opposite of bars”: patrons went there to be anti-social. The environment was conducive to work due to the “calming” background noise and while patrons liked being surrounded by people, they did not want to interact with them. These insights inspired 55+ ideas ranging from the practical, discussion forum tables, to the whimsical, "bumper coffee tables" that fluidly bounced off each other. 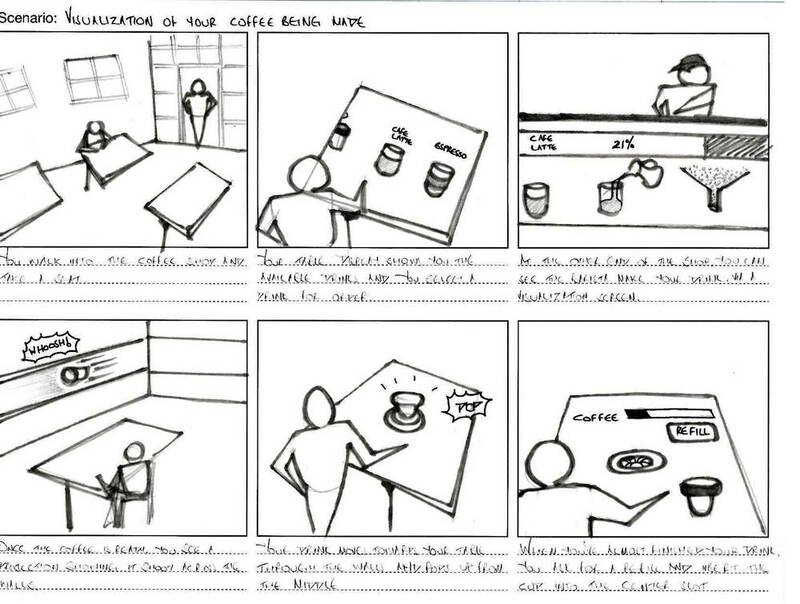 12 consolidated concepts were investigated through storyboards. “Speed dating” them with 12 users revealed where social boundaries lay. Users appreciated convenience, subtle interactions with the physical space, and experiences that brought them closer to friends. However, concepts with dynamic environments were unsettling as they altered the predictability of coffee shops. While some welcomed passive communications with strangers, active interactions were met with reluctance. 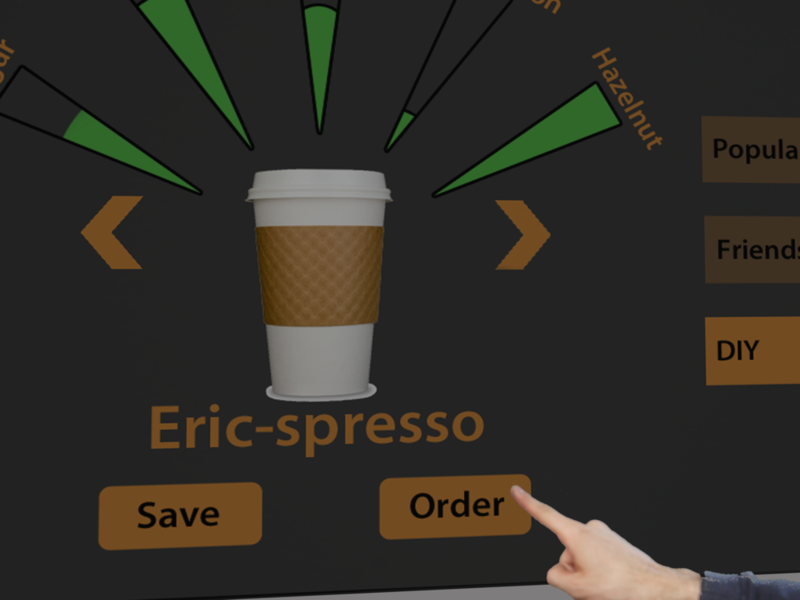 What if you could see an infographic of your coffee being made? What if you could contribute to the music ambience of the coffeehouse? What if dynamic windows helped you escape to a different place? We were passionate about three concepts popular among participants but combining them convoluted the story. How might we craft a story with distinct themes that one could grasp? By overcoming these challenges, we successfully pitched a cohesive design concept and supported it with a video sketch that captured the most relevant features. In a scrappy team, I performed design research, learned to design for service and crafted our vision through iteration. 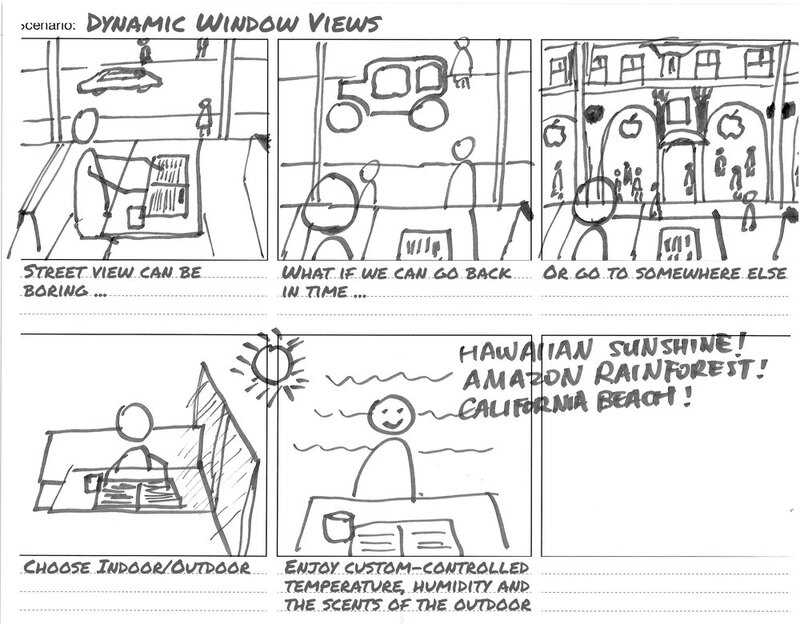 I saw firsthand the usefulness of “rough” video sketches in quickly capturing and communicating a novel design concept.